Open Source Knowledge Base vs SaaS – Which is Better? Having a knowledge base allows your customers to access all of the information and resources they need, all in one place. But how do you know whether an open source or a SaaS solution is the way to go? Here’s how to choose what’s best for your business. As a business owner, you know how important it is to provide the best experience to your customers as possible. Satisfied customers means more business, which means a bigger payday for your company. Part of keeping customers informed, engaged, and coming back for more is making sure they have access to what they need, when they need it. After all, who likes to go to a website just to get lost in the details – or worse – be put on hold by customer support? By having a knowledge base, you avoid these issues and create a better experience for your customers. But first is the step of finding the RIGHT knowledge base for your business. What are your options? Which is better? How do you decide? In this guide, we'll give you all of the information you need in order to choose whether a SaaS or an open source knowledge base is the right solution for you. An open source knowledge base is simply a knowledge base that is built with open source software. The term “open source” refers to original source code that is freely available and able to be modified as developers (and business owners) see fit. When businesses want to offer a self-service knowledge base to their customers, using an open source solution can seem like a good fit. That’s because the software is “free”, customizable, and readily available. However, there are some downsides – not to mention, especially when compared to using a SaaS solution instead. The alternative to an open source knowledge base is utilizing a SaaS solution. This is a knowledge base that is ready-to-go for you to use - you just need to sign up for the subscription that best fits your needs. So, let’s compare the two, talk about the pros vs cons, and help you choose the best knowledge base solution for your business. Going the open source route essentially means that you are going to custom build your knowledge base in-house or employ a developer to build it for you. It really offers a lot of possibilities when it comes to customization. By being open source, you know that the original code is free to use and can be modified to your liking. Near endless possibilities! However, note that this does not account for the time or money it will take to build the knowledge base yourself or hire a pro to build it for you. Another related issue is that it can be tempting to add more and more features to your knowledge base. This can cause your platform to become “bloated” and overly complicated to use. This is referred to as feature creep and can make your software harder to maintain. Right now, your business likely uses a wide range of applications and tools, so having a fully integrated knowledge base is a huge benefit. By building your own knowledge base from open source code, you can be fairly confident that it will integrate with your existing software. However, this is only a real benefit if you are building everything from scratch. If your other tools are SaaS, you will still need to use APIs in order to make everything work together. A SaaS knowledge base solution will often include these integrations already and won’t require custom coding. What do you trust more: your own company’s processes or relying on another software to do the work for you? For many business owners, they would rather know that their knowledge base is self-hosted and thus secure on their own platform. SaaS, on the other hand, is hosted on the vendor’s servers and is accessed through the internet, making it potentially less secure. Now, going with an open source knowledge base may already sound like the right solution for your business, however there are some drawbacks. Let’s talk about them. As mentioned above, going open source doesn’t necessarily mean “free” because it takes time and (usually) money to either build it out yourself or hire a developer. And it can be a quite lengthy, involved process. Most business owners don’t know much about software development (unless they are a software developer, of course), and we don’t expect you to. That’s why most companies outsource this work. That comes at a cost. If you are a larger company, this could be equal to or more than the cost of paying for a SaaS solution. And, you have to host the the knowledge base software on your own servers. Even though open source code is available to the public, you still have to comply with the terms set by the licenses that the code was published under. This means you may or may not have ownership over the code, and therefore, “your” software. Further, you may need to ask for special features to be developed – and these can be added or removed seemingly on a whim. If the latter happens, that could mess with your entire knowledge base system. If you are going to do things on your own, that means little to no support from the code sources or even corresponding forums. There’s no tech support (like what you would have with a SaaS solution). SaaS knowledge base solutions have their own pros and cons as well. Typically, this is the go-to for businesses that don’t want to fuss with creating a knowledge base themselves. It can be very affordable and easy-to-use. But, you get less customization, integrations, and scalability. Compared to an open source knowledge base solution, a SaaS software is typically easy to use. But, keep in mind that not all SaaS knowledge base providers are created equal. Some software is easier to use than others. Some are also more affordable than others. Since the SaaS knowledge base software is already up and ready, and housed by an existing provider, you will have access to better customer support. Customer support is all but non-existent with an open source solution. This is great for busy business owners that don’t have the time to build the knowledge base themselves or even hire a developer to do it. With a SaaS solution, when an issue does occur, you will have someone to reach out to for help. One major benefit of working with an SaaS knowledge base is that you have customizable features already built into the platform. That makes it easy for you or anyone on your team to tweak the software to fit your business’s unique needs. While there may be some limitations – as the software is not completely built “from scratch” for your business - you still avoid the headaches of futzing with confusing code or paying a hefty price for a developer. Either way, the SaaS solution you choose will likely be built with your industry in mind and will provide the majority of the custom options that you need. SaaS companies provide software and support to thousands of businesses and websites. That means that they can usually offer lower costs to users compared to the cost of working one-on-one with a development team. For instance, a SaaS subscription typically costs a few hundred per month. By comparison, a built-for-you open source knowledge base can cost $10,000 or more after all of the customizations and integrations are built in. That doesn’t include ongoing maintenance and (often non-existent) support. A SaaS solution typically costs far less than it would for you to license, build, host, maintain, and manage a knowledge base yourself. We addressed some of the downsides of a SaaS solution in the open source benefits section, but here’s a more detailed breakdown. With most SaaS software, you are essentially going with a ready-made solution with some customization options vs a completely custom-built knowledge base. That means that you are often limited when it comes to what you can do – or how big you can grow. If you are growing company – or even predict a lot of growth in the future – you want to choose a software that can accommodate that. You can’t afford to think small. Fortunately, Helpjuice Knowledge Base includes near infinite customizations – and we will even do the customizations for you! The same can’t be said for a lot of other SaaS knowledge base solutions. Going with a SaaS knowledge base necessarily means that you are paying for a solution. This can be expensive depending on the provider and what you need. But remember, going open source carries its own (often hefty) costs. That’s why it’s important to consider your business needs and budget. Sigh. That was a lot of information to process. We get it. You want to choose the best solution for your business – but how do you do that? Do I want to build my knowledge base in-house or buy a software through a provider? Do I want my software to be hosted on my own servers or on the vendor’s servers? Do I plan on scaling my business to new heights? If so, how big? Can an open source or SaaS option accommodate that? What is my budget in terms of building it in-house, hiring a developer, or buying a software? How familiar am I with knowledge base software? How much support will I need? Answering these questions will help you decide what’s best for your company and your customers. Simply go through the benefits and drawbacks of open source vs SaaS and check off what aligns best with your needs. Sound complicated? 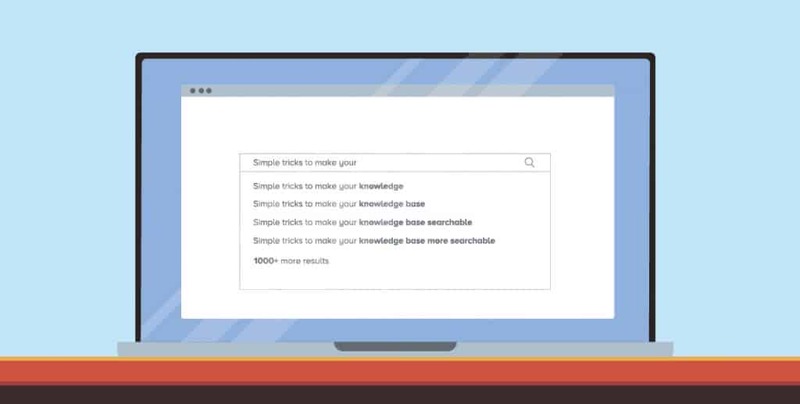 Skip the confusion and create your own knowledge base in 10 seconds with Helpjuice. Check out their information, try them out, and see what may be best for you. Keep your customers happy and increase your business’ productivity with Helpjuice Knowledge Base Software. With Helpjuice, you have access to infinitely customizable software that allows you to take your business to new heights. Our customers love it and so will you! Plus, Helpjuice has a practical Google Chrome App, integrates with Salesforce and Zendesk, and much more to keep your business knowledge system running smoothly. Our user interface is designed for business owners of any skill level, ensuring that there are no hiccups in your knowledge management. Even content publishing is fast and simple! You don’t have to fork over a huge chunk of change just to try us out. You can get started for FREE today with our no-commitment 14-day trial now. When choosing a knowledge base for your business, it’s important to consider your company’s needs and the needs of your customers. From self-hosted to integrations to cost, there are a lot of things to consider before finding the perfect fit for you. You want a solution that is customizable, scalable, easy-to-use, and offers you the support that you need. This is the best way to provide the best experience to your customers – and manage your information without the hassle. How could Helpjuice improve YOUR business? Check out what our happy customers have to say. Got more questions about open source vs SaaS knowledge base? What are some good open source knowledge base options? Some of the best open source knowledge base options include phpMyFAQ, OpenKM, Documize, myBase, PHPKB, and eXo. When it comes to choosing the best knowledge base for your business, be sure to consider your business needs, goals, and budget. Helpjuice is a hosted knowledge base software as a service (SaaS) solution for business owners looking to provide better customer support, increase productivity, and improve team collaboration. We help businesses of all sizes by offering software that is customizable, easy-to-use, and back by amazing customer support. 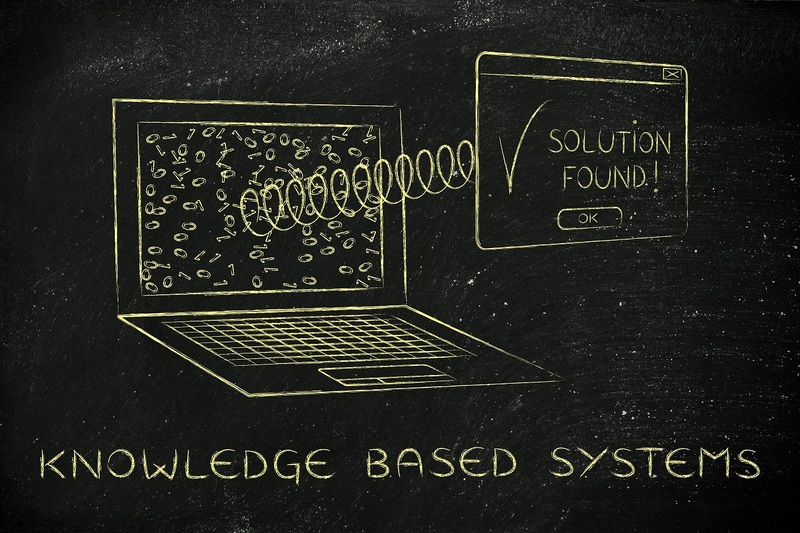 Where can I find a free knowledge base software? 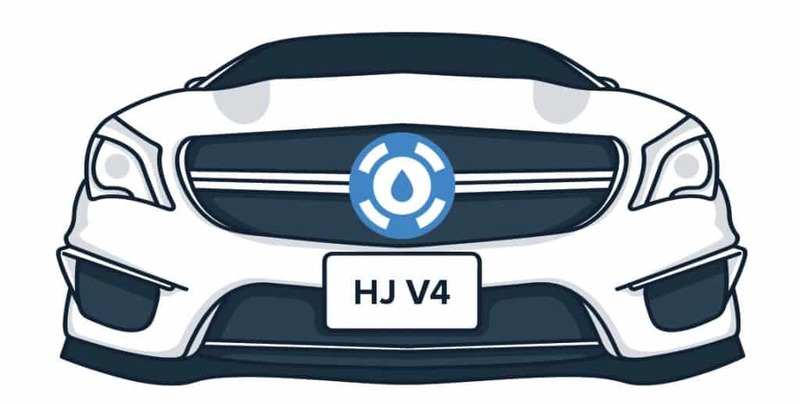 If you are looking to try a knowledge base software for free, sign up for your 14-day, no-commitment trial with Helpjuice. It will give you a taste of what all we have to offer – and you won’t want to try anything else! How do I build a knowledge base for my business? If you want to build a knowledge base system in-house or work with a developer, then consider taking the open source route. This provides near endless customization and integrations. However, this can be a complicated process for business owners and can often be quite expensive.